There were rumors since the 20th of October, three weeks before the bloody attack in Paris, that the EC also wants to ban internet sales and semi-automatic rifles. 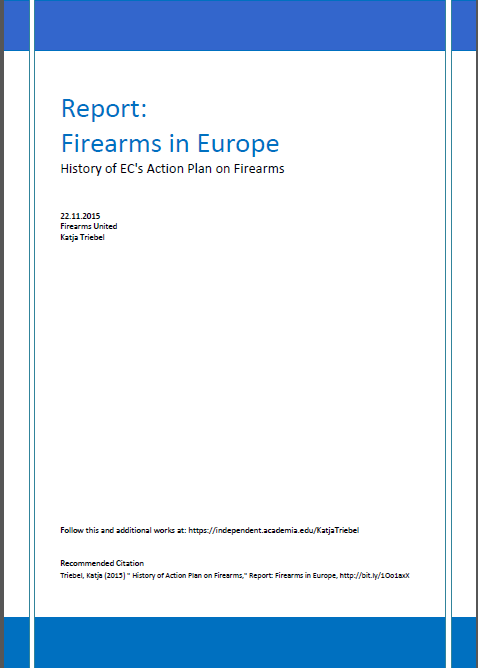 The gun rights advocates made inquiries in Brussels. Fabio Marini denied these rumors. “There were no plans for it, only for deactivated firearms”, he said. And then he presented the new proposal with drastic bans and drastic restrictions which are a threat to national and individual security. This report will show you how a few people – we only know the actors Malmström and Marini, but there may be more – misuse democracy to implement their dream into law with lies, manipulation and ignorance. These few people were never interested in reducing crime. They only want to drive their own political anti-gun agenda against law abiding gun owners ignoring all transparency and democratic means.